Botswana’s Nijel Amos posted a time of 1:43.79 to spoil Kenya’s golden party in Barcelona,Spain on Sunday evening as he finished ahead of Kenya’s duo of Timothy Kitum (Silver - 1:44.56) and Edwin Kiplagat Melly (Bronze - 1:44.79) to win the men’s 800m finals. 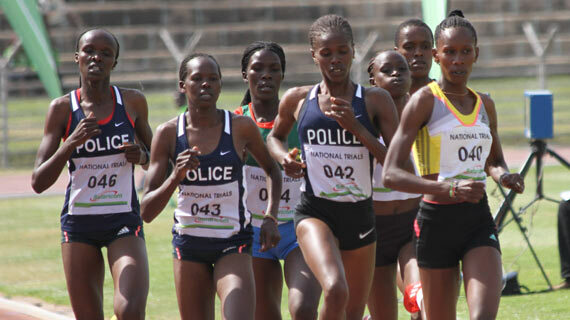 Earlier in the day, Faith Chepngetich and Conseslus Kipruto had won Kenya two gold medals in the 1500m women’s finals and 3000m men’s steeplechase finals to put Kenya in second place in the overall medals tally behind USA as the curtain fell to the World Junior Athletics Championship. Kenya scooped a total of 13 medals (4 gold, 4 silver and 5 bronze) while first placed USA got 19 medals (8 gold, 4 silver and 7 bronze). Kenya's arch-rivals Ethiopia finished third overall behind Kenya with a total of 7 medals (3 gold, 3 silver and 1 Bronze).